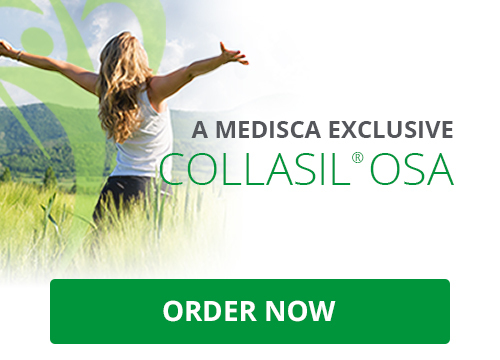 COLLASIL® OSA is a high quality nutritional answer to a healthier lifestyle. APPEARANCE:White hygroscopic powder with crimson shades. HIGHLIGHTS:Fat-free, sugar-free and free of preservatives. FUNCTIONS:Nourishing, fortifying, thickening, elasticity, and improved hydration of hair, nails, joints and skin. INTENDED USE:Pharmaceutical/Cosmetic: highly bioavailable source of soluble nutritional ilicium that is taken along with personalized treatments for skin, hair, nails and joint applications. pH STABILITY: pH of a 5 % COLLASIL® OSA aqueous solution = 2.0 – 4.0. HEAT SENSITIVITY:Avoid temperatures above 40 °C (104 °F). RECOMMENDED DOSAGE:Approximately 600 mg of COLLASIL® OSA per day (recommended daily dose in silicium for a 60 Kg adult). The subjects in the study in which I participated were monitored over eight months, during which we compared hair quality before and after using COLLASIL® OSA. On analyzing the outcome, we have noted improved elasticity, thickness and growth, which was evidenced from a clinical viewpoint as well as by means of the laboratory tests to which hair strands were submitted.